LancewadPlan aimed to extend and enhance – in cooperation with the relevant governmental and non-governmental stakeholders – the development, management and sustainable use of the common trans-boundary landscape and cultural heritage of the Wadden Sea Region. As the key result, the LancewadPlan project developed an integrated management and development plan and a joint strategy “A Living Historic Landscape” for the common landscape and cultural heritage in the Wadden Sea Region. Within pilot projects, the project achieved the application of cultural plans into regional planning and carried out regional implementation activities. As spatial planning was recognized by the project as the most important tool for the conservation and enhancement of cultural heritage and landscape values, regional cultural plans for the integration into planning were developed, in addition to the joint Wadden Sea plan. This included the description of 59 cultural entities, including the analysis of potentials and vulnerabilities, compiled in a cultural atlas. 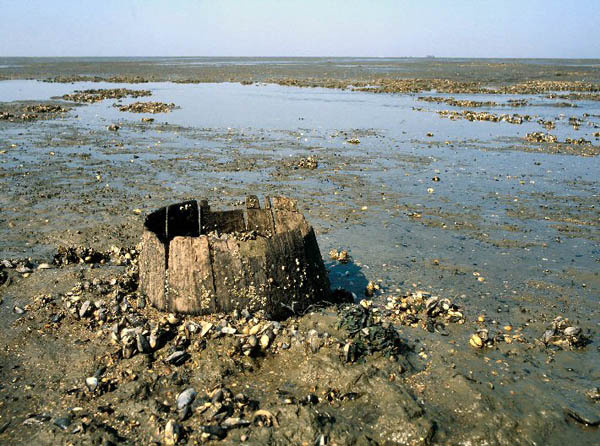 The synthesis of the regional plans provides an overview of the character of the cultural heritage of the Wadden Sea Region; it identifies the over-arching vulnerabilities and potentials and suggests some future directions where a character based approach to conservation and management might be progressed. Another final outcome in this context was an elaborated handbook of best practice, which has been produced to provide a summary of issues affecting the planning and management of the cultural heritage in the Wadden Sea Region, together with examples of projects which illustrate best practice within the region. The handbook provides a means for all parties involved in the management, preservation and enhancement of the cultural landscape of the Wadden Sea Region to learn from examples of projects which have been successful in practice. The application of cultural plans in regional planning was achieved by several good measures and projects in the pilot areas around the common Wadden Sea Region. The LancewadPlan initiated the regional implementation of pilot actions, which results were disseminated and used in a wider perspective. The pilot project’s results are regional cultural development plans: the Kulturarvatlas (DK), Landschaftskonzept Reußenköge (DE), Kultur-landschaftskonzept Oevenum (DE), Kulturlandschaftsanalyse AltesLand (DE), Den Hoorn-Development Plan (NL) and Fivel-Development Plan (NL). As the landscape and cultural heritage of the Wadden Sea Region is shared by three countries, i.e. the Netherlands, Germany and Denmark, the interregional and transnational cooperation was at the heart of the project. 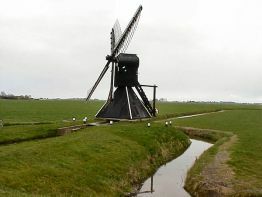 The transnational integrated strategy and management plan, the assessment of potentials and vulnerabilities of the cultural landscape of the Wadden Sea Region on the basis of cultural entities, the transnational handbook of best practice examples and the elaboration of all parts of the project could only have been realized on a transnational level. This is underlined by the view of the project on the Wadden Sea Region as one common unit. With regard to the elaboration of LancewadPlan, a cross-sectoral integration was stated as essential to ensure that cultural landscape and heritage values would be integrated in spatial and sectoral policies and management. Therefore, the project incorporated the strategy of building bridges between sectors, science and the administrative and political level. The cross-sectoral cooperation resulted in an agreement to use the results of the project in the future dealing with cultural heritage, to increase the efforts in awareness building as a central pint and to extend and strengthen the network for further cooperation and collaboration. The integrated strategy including the action program developed by LancewadPlan will have mid-term to long-term impacts, as it will be transformed into policies of the "Trilateral Cooperation" for the protection of the Wadden Sea (TC). The action program will be implemented in the near future, as the existing network of Wadcult was strengthened and broadened during the project.